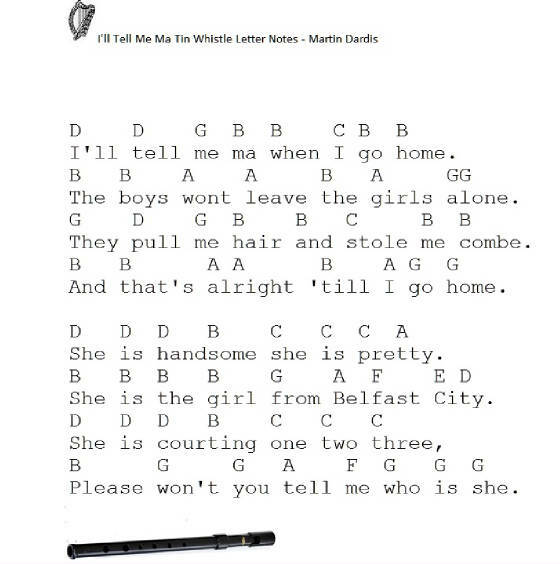 I'll Tell Me Ma song lyrics and guitar chords-The Dubliners, also recordeed by The Clancys And Tommy Makem, the sheet music and tin whistle notes are below. The youtube video is by Peter Edwards who shoes how the songs is played on guitar. Also recorded by The Young Dubliners and Van ''The Man'' Morrison, along with The Rumjacks and Sham Rock, Orla Fallon, Na Fianna, Fiddlers Green, Sinéad O'Connor and Gaelic Storm. 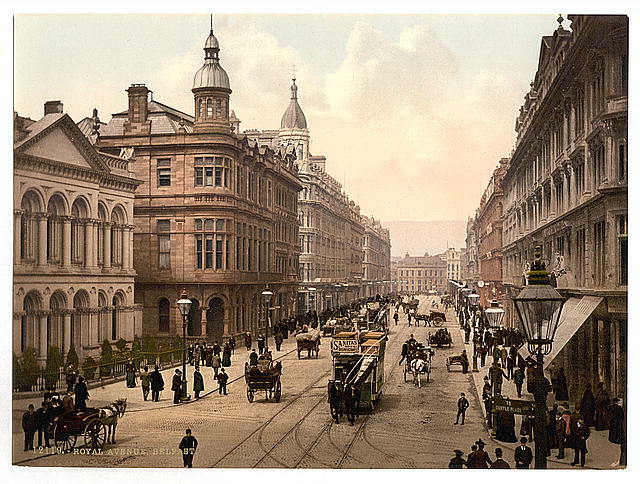 It's one of the more popular Irish ballads on the site. Also included are the easy to follow piano keyboard / accordion notes. [G]Please wont you[D] tell me[G] who is she. Albert Mooney says he loves her all the boys are fighting for her. They knock on her door they ring on her bell saying oh me true love are you well. Old Jenny Murry says she'll die if she doesn't get the fellow with the roving eye. She's as sweet as apple pie,and she'll get her own lad by,and by. Let them all come as they will,but its Albert Mooney she loves still. The 2 pieces of sheet music above are slightly different. Both are in the key of D Major. The above notes are the one's I'm playing in the video. The sheet music is different.